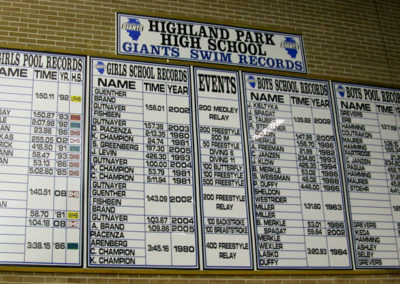 Perfect for track and field, swimming, or any event based sport. 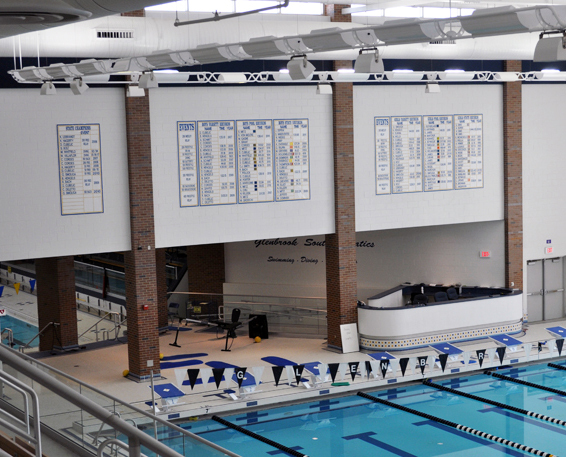 Constructed from a 1/8” composite metal. 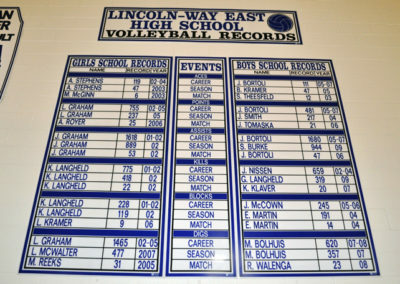 Most popular size is 10’ x 10’, custom sizes are available. 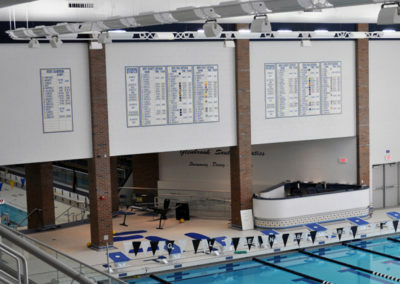 Durable – Constructed from 1/8” composite metal. 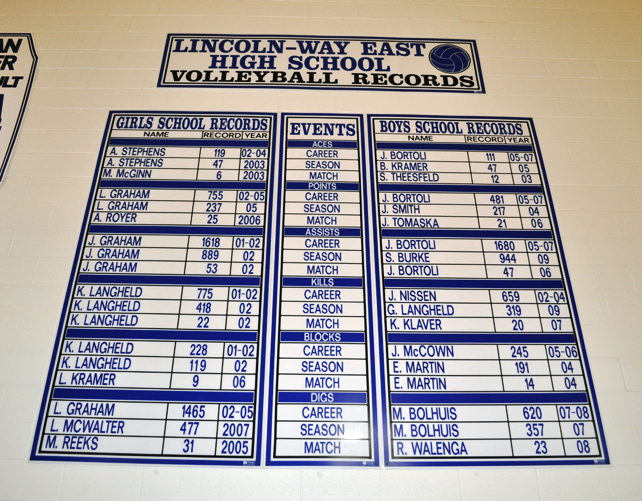 Boards are lightweight and great for long-term use. 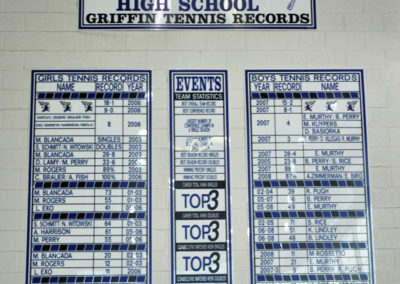 Pre-drilled holes are cut for easy mounting to any wall. 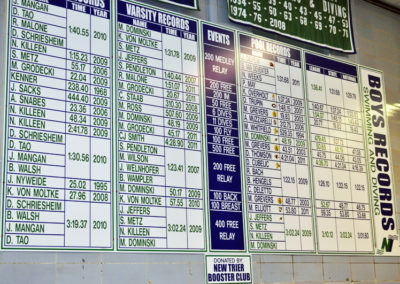 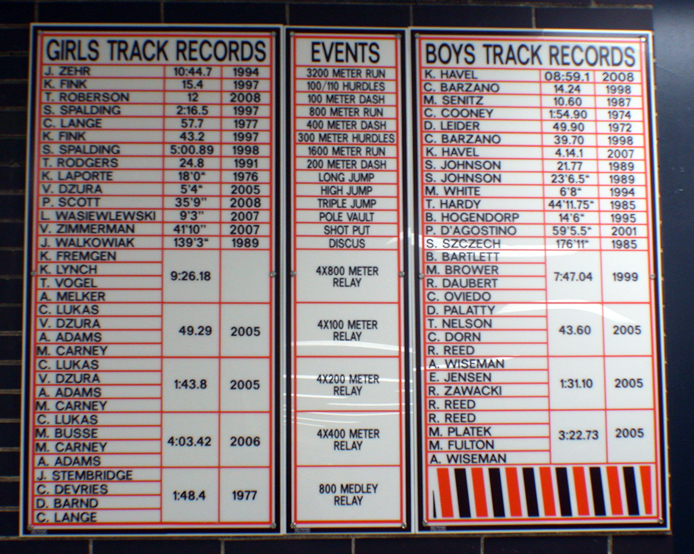 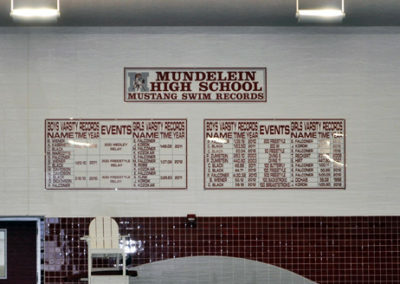 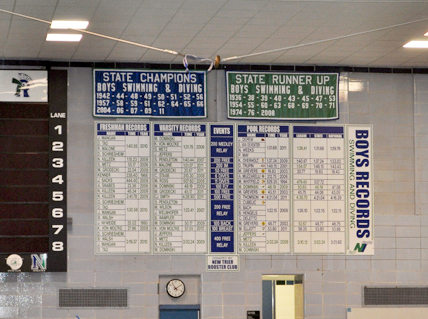 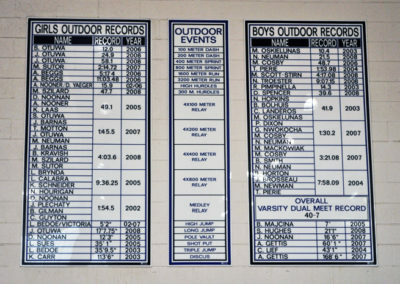 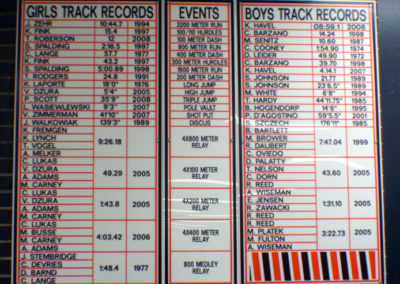 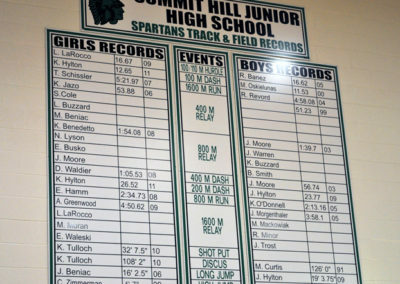 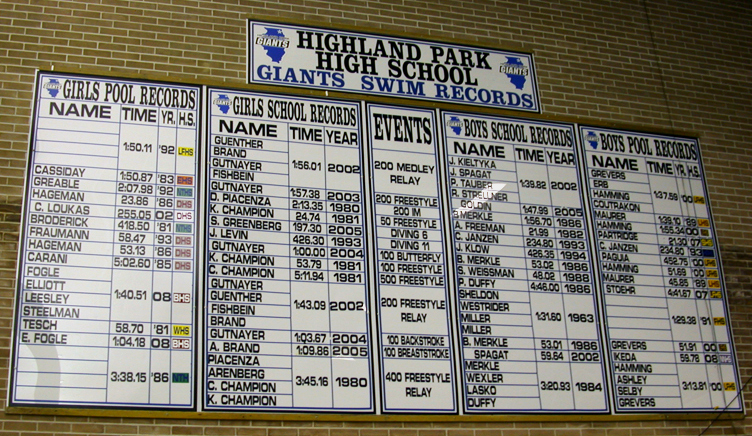 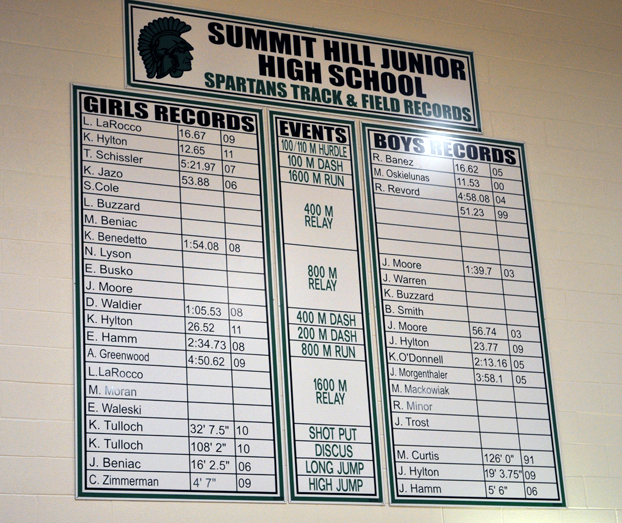 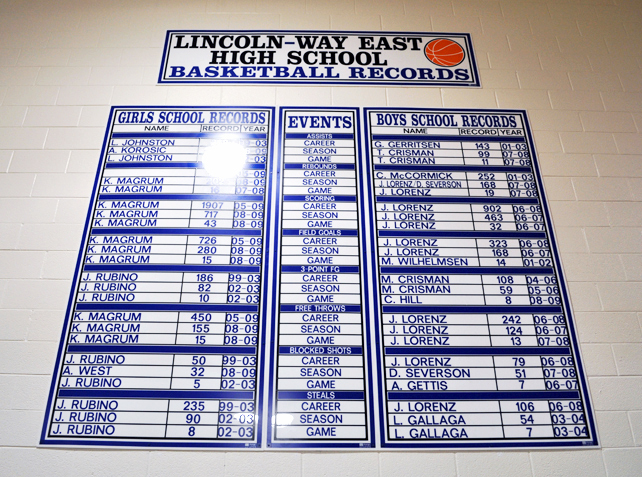 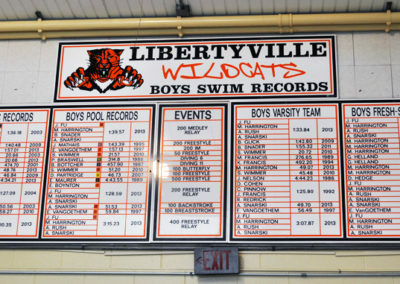 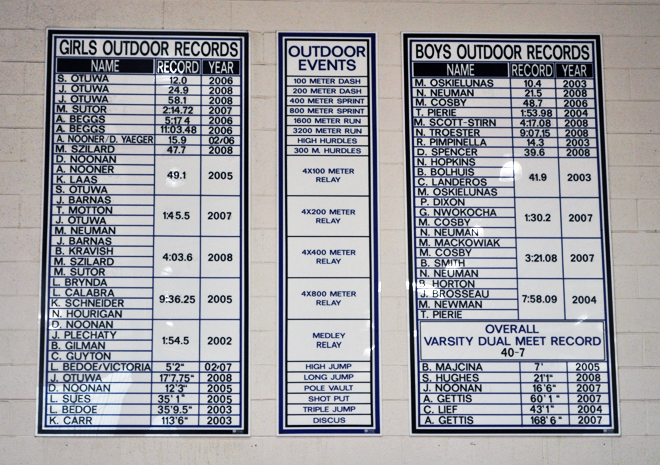 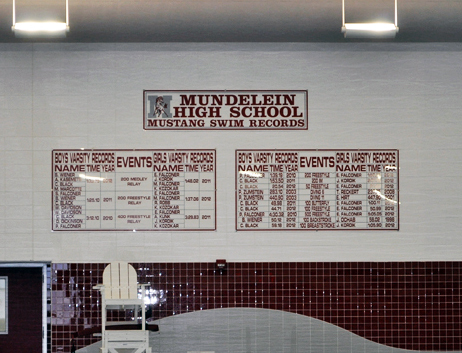 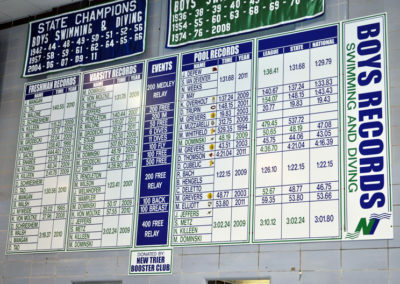 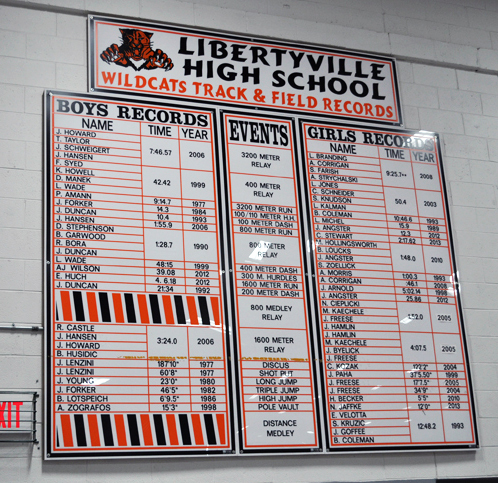 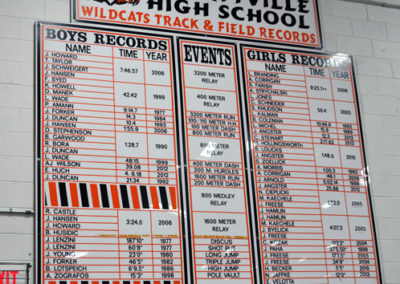 Sizing and customization – The most popular size for a full set of record boards is 10’x10’. 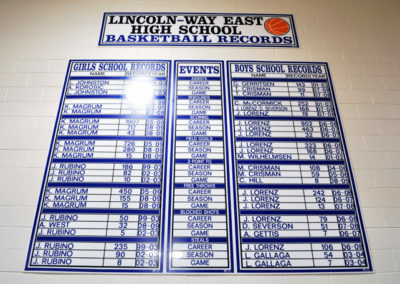 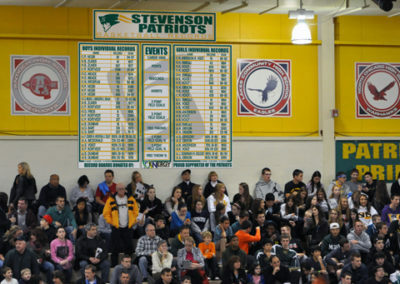 This allows for easy reading from across the gym or fieldhouse. 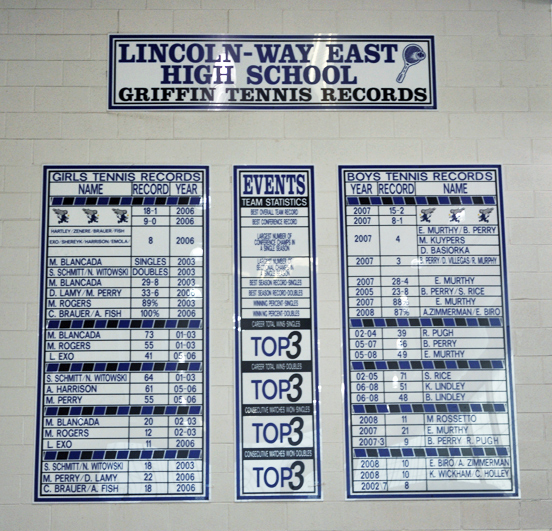 A 5’x5’’ size is great for a locker room or “hall of fame.” Board sizes can be designed to meet your wall space at no additional charge. 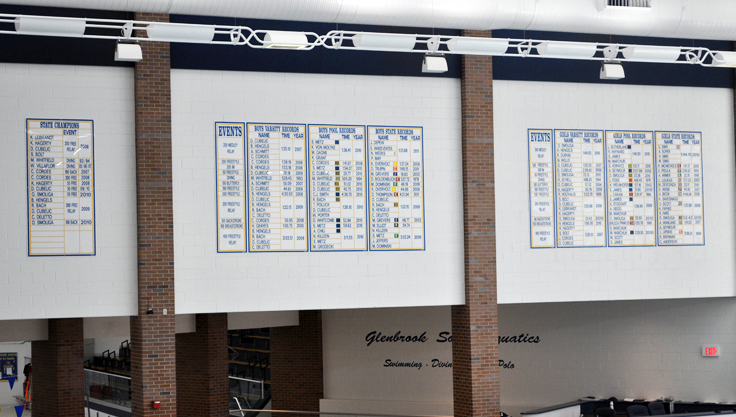 Consistent look – These boards come with bordered guidelines to ensure a level application of new updates. 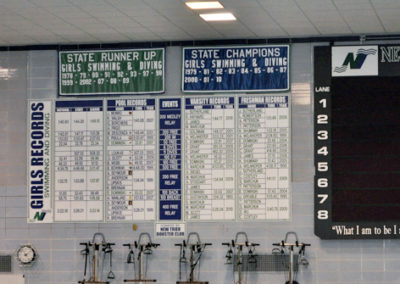 Future orders of boards will look like the originals. 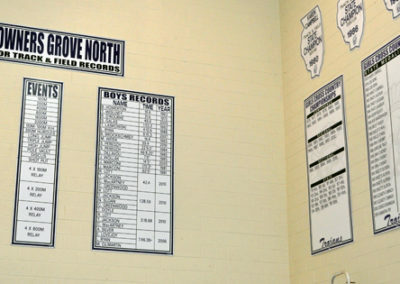 No crooked updates! 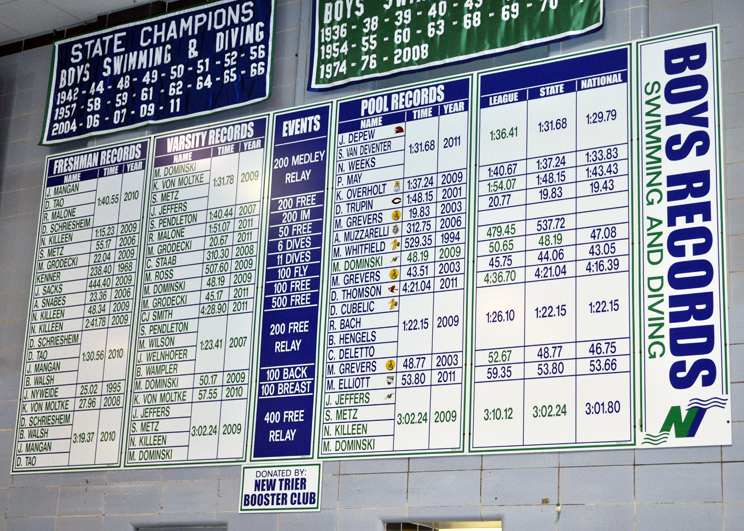 Easy and quick updating – Easy online ordering ensures accuracy. 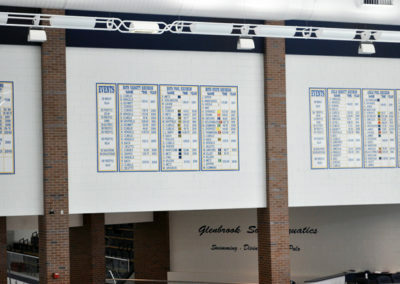 These updates are made with a vinyl that when peeled does not leave a sticky residue and are easy to apply and remove. The one piece design allows for an application that fits the board perfectly without misalignment. 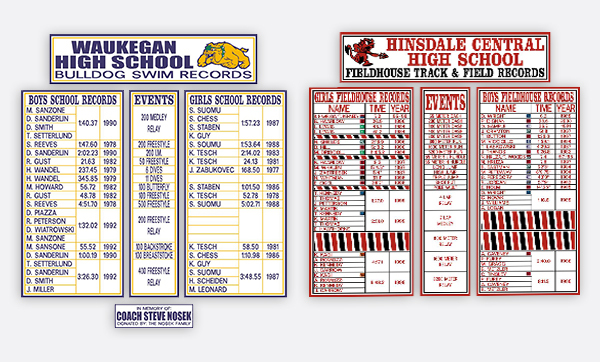 Once you place your online order for new updates they will be manufactured in one piece, not individual letters and numbers. 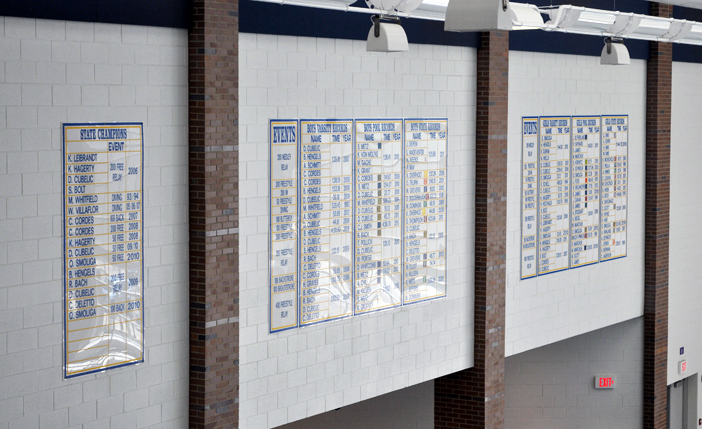 New orders are shipped within ten working days.